If you haven’t heard of our I’m Local Project yet, you should check it out! With the generosity of the U.S Embassy, the Waitematā Local Board and the ANZ Staff Foundation, the project is in full swing, getting free queer and trans* resources out to community organisations nationwide. 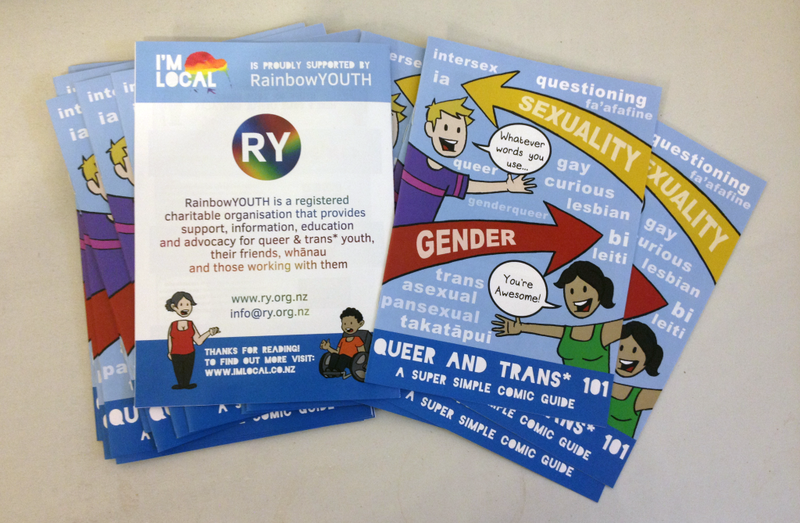 With the trial phase of the project going down a treat in high schools, medical centres, libraries and community centres around Northland, we’re moving on to the next phase of the project – and have whole bunch of awesome Queer and Trans* 101 comics (created in collaboration with the wonderful Sam Orchard) ready to go to the Waikato Region and beyond!